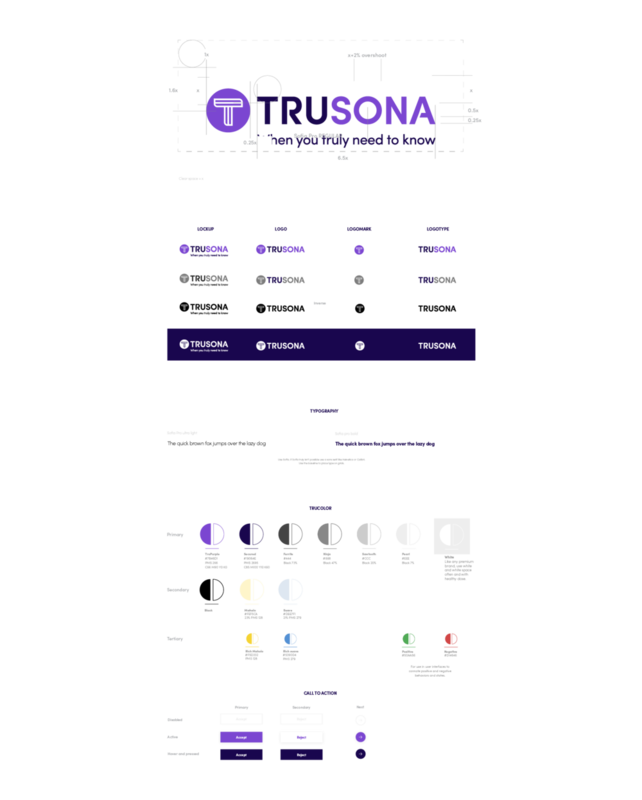 This voice and tone guide was created for Trusona employees. We make it public to build upon a growing interest in the design community to make stronger security more human, more usable. We welcome your input so we can improve this guide. Let’s do this. The Trusona brand voice expresses an intuitive understanding that identity and login security should be easy to use and more secure. We’re all about making the world a better, safer, happier place, and our tone of voice reflects this at all times. Above all, we are never stodgy or overly technical. We are pleasant, friendly and speak in plain English. We are the leaders in cybersecurity. Together we can beat evil doers. Ask us anything. We’re on your team. Trusona is a security company. So who is Trusona and how do we make this sorcery happen? At our core, we are a security company. A #NoPasswords login reduces friction. A #NoPasswords login reduces friction, increases happiness and eliminates password rage. Consider that average users juggle dozens of usernames and passwords every day. Considering that people juggle dozens of usernames and passwords every day, you’re about to become a hero. Entering a username and password every time you log in is extremely cumbersome. “I love entering a username and password every time I log into my account,” said no one ever. You no longer need to remember a password to log in. You no longer need to remember a password to log in. Yes, you read that right. How can I try this out? After you download the Trusona app from the Apple Store or Google Play Store, go to trusona.com/try and click on the #NoPasswords login. How can I try this out? After you download the Trusona app from the Apple Store or Google Play Store, go to trusona.com/try and click on the #NoPasswords login. Voila! Take opportunities to positively influence users’ behavior with their best interest in mind. Explain value and consequences prior to decision-making in order to increase favorable outcomes regarding their online security. Take opportunities to positively influence users’ behavior with their best interest in mind (basically, save them from themselves). Eliminating passwords will seem foreign at first. Explain how it’s easier and more secure. This is a great thing for everyone.